Warning! 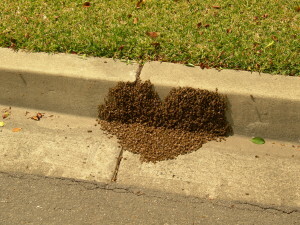 If you have a swarm of bees that are threatening the safety of you, your family or your neighbors, don’t hesitate – call your Rancho Palos Verdes bee removal experts at Bee Busters! The Palos Verdes Peninsula is a wonderful bit of paradise on earth. It is the perfect place for residents to escape the busy hustle and bustle of life in Los Angeles. The scenes are breathtaking, calming and relaxing – the perfect way to let down your hair and unwind. People enjoy hiking and taking in gorgeous scenes of the Pacific Ocean and Catalina Island. Residents and visitors who are not up to hiking can opt for a nice drive along the beach. The peninsula is an amazing place that adds an invaluable quality to life in Rancho Palos Verdes and LA in general. Another interesting thing to note about Palos Verdes is a rather peculiar pest that irritates the locals and is known to damage roofs while trying to make nests. I am of course talking about Palos Verdes’ famous peacock infestation. We can’t help you with that but if you have bees, wasps, or yellow jackets bothering you we’re there for you! Your Rancho Palos Verdes bee removal experts. Our homes, business and health represent major life investments that we do our best to protect. If something goes wrong, the cost of repair and recovery could be enormous. An infestation of pests such as bees, wasps or yellow jackets can present a huge threat to any of these investments. When they invade and nest in or around the home, these pests can cause significant damage to buildings or if they become annoyed, could attack and sting you or a family member. The consequences could be dire. As it relates to the building, if they nest inside the walls the structure will be have to be disturbed to remove them. The longer they are there, the worst it will be. As it relates to health, many people in the US die from bees and wasps stings each year. Local residents use their local Rancho Palos Verdes bee removal experts at Bee Busters, Inc. to rid unwanted and uninvited tenants from their homes and businesses. Rancho Palos Verdes Bee Removal: Honeybees are treated differently from other pests because of their high value to the environment, agricultural production and beekeepers. Bee Busters expertly execute the removal process so that the structural repairs are as minimal as the infestation damage will allow. Rancho Palos Verdes Bee Keeping: Bee Busters has its roots in beekeeping and is still very active in the beekeeping community. Other residents also engage in beekeeping as a hobby, while others use it as a second stream of income or even self-employment. 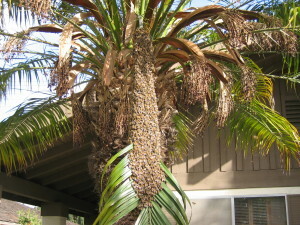 If you see a swarm of bees, wasps or yellow jackets in your home, act promptly and call in the Rancho Palos Verdes bee removal experts, Bee Busters, Inc. @ 949-497-6264, 949-459-0024 or 714-731-1959. The health of your home and family is at risk so DO NOT hesitate – Call Today. They are available 7 days a week. 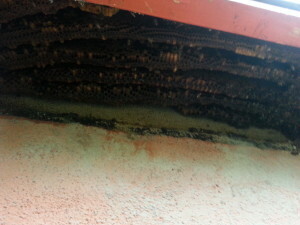 Call your Rancho Palos Verdes Bee Removal Experts Today!